Cam Fowler couldn't have scripted his first NHL game any better: playing in familiar territory, in front of family and friends, and against one of his childhood idols. As far as personal milestone moments go, Fowler, in the midst of his rookie NHL campaign as a member of the Anaheim Ducks, won't soon forget this one. Hailing from Windsor, Ontario, but calling Dearborn, Michigan home since his early days, Fowler's first big-league game happened to be a road contest, when his Ducks faced off against the Detroit Red Wings at Joe Louis Arena. Even now, Fowler, the 12th overall selection of Anaheim in the 2010 Entry Draft, still has no trouble recalling a multitude of moments from his first game. “It was a rollercoaster of emotions,” recalled Fowler, a dual citizen, who represents the United States internationally, winning a gold medal as a member of the American entry at the 2010 World Junior Hockey Championships. “Being in Detroit, in front of my friends and family, it was a huge milestone. It was pretty memorable. It was also a special moment for Fowler's personal cheering section, including his father, Perry. “We weren't necessarily thinking that would be his first game,” recalled Perry. “But it was absolutely incredible. It was pretty wild. As for who was more nervous, both of the Fowler men managed to keep their emotions in check leading up to the opening face-off. Nor was the rookie rearguard. Cam has found an ideal group of players to skate alongside, a team that features one of hockey's most dynamic offensive performers in Teemu Selanne. 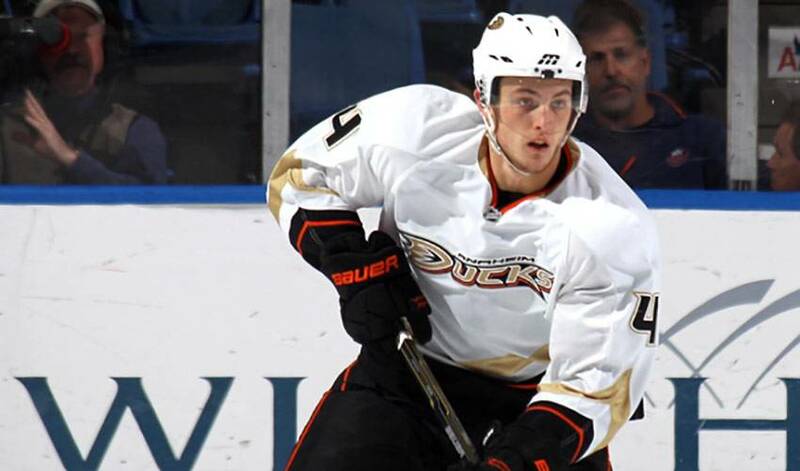 For Fowler, the man known as the ‘Finnish Flash' is the ideal teammate and role model. Fowler has equally kind words for the rest of his teammates. “It would be unfair of me to single out one guy that has made me feel welcome,” said the Memorial Cup All-Star Team selection, who scored his first NHL goal on October 17, 2010 against the Phoenix Coyotes. It's also a group that is bent on making the playoffs, especially after missing out on the Western Conference final eight last season. Whether the Ducks make it or not remains to be seen. And if they don't achieve their goal, it certainly won't alter the feelings of a proud father. But seeing his son keep pace against the world's elite hockey players isn't the biggest reason Perry Fowler is beaming. A great young man that has all the tools to be a great NHL defenceman. Less than two weeks before he celebrates his 25th birthday, Cam Fowler, closing in on 450 NHL regular season games, will have the chance to enjoy one of his favourite days on the calendar.